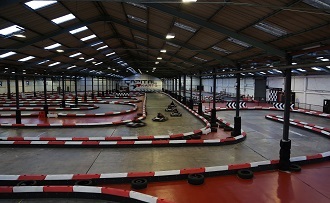 London’s latest kart circuit is the biggest indoor track in the UK and boasts an 80-metre long straight that should see the machines reaching their maximum speed of around 45mph. Lap times of over a minute mean that you’ll probably need a satnav just to work out where you are but sure promises to be fun. 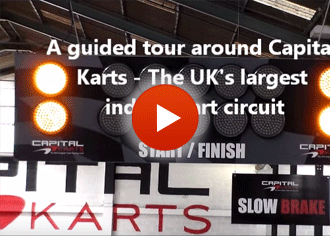 Capital Karts is located on the A13, 10 minutes from Junction 30 of the M25, two minutes from the North Circular road and 15 minutes from Central London. The venue is also easy to get to by rail with trains running every few minutes from London Fenchurch Street. There is also a bus stop directly outside the circuit serving Barking Rail station. There are also two tube stations; Upney and Becontree on the District Line, which are both 15 minutes walk away. For corporate groups the circuit can also provide a collection and return courtesy coach service. A junior session for 7 - 15 year-olds. 20-minutes open (non-exclusive) practice driving single-engine go-Karts. A junior session for 7 - 15 year-olds. Two x 20-minute open (non-exclusive) practice periods driving single-engine go-Karts. An adult-only non-exclusive event. Two 20-minute sprint races back-to-back. An adult-only non-exclusive event. 15-minutes qualifying to determine your grid position plus a 35-minute non-stop race. A 20-minute exclusive track session for juniors aged 7 - 15 years (min height 125cm) including winners trophies and 1-hour party room hire.